Next up we have former Women’s Captain and Treasurer Katariina Rantanen, playing in the Women’s Division for Atletico. After a few attempts at handling I’ve realised that I’m definitely not a handler. I like cutting, on the O line when I’m feeling lazy and on the D line when I have a lot of energy. My favourite frisbee experience is definitely winning European Clubs last year, with a team I really like and respect. Winning Spanish Mixed Nationals in 2014 is also up there, as is captaining Warwick Uni women at Indoor Nationals in 2015, where we exceeded everyone’s expectations and had lots of fun doing it. 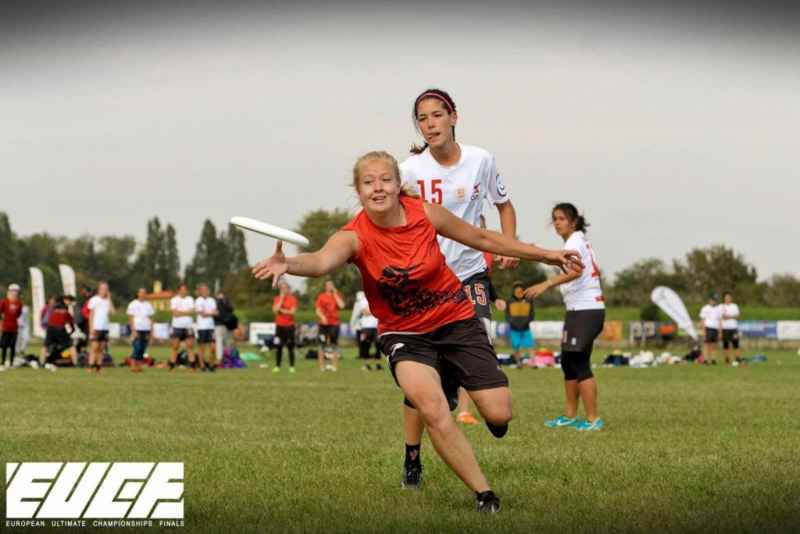 4)What advice would you give to someone aiming to play at WUCC in the future? Keep playing and practicing. People develop in different ways and at different speeds, so even if you’re not the best player on the team this season, you might be next season or in a couple of years. Also experience playing or training with a club team is super valuable, so look into doing that while at university if you can. And finally, I would recommend always trialling for good teams, even if you don’t think you can make it. The worst that can happen is that you don’t make it, but find out where you’re at and what you need to improve for the next season. Women’s: It’ll be interesting to see what Revolucion (COL) can do after their success at US open last year. The Japanese teams are also fun to watch, because they have a completely different style of play to most other countries. Maybe selfishly, I’m also going to say SYC, as I’ve been training with them this spring in London, and know that they have many great players and a lot of potential. Mixed: I don’t know a huge amount about the mixed division, but I’m really excited to watch the opening game Grut v Wildcard. I think Grut might just have the athleticism and lack of inhibitions to take on American teams. Whether they have the mental strength is what we’ll see in the course of the tournament. Men’s: I’m interested to see the best European teams match up against the best US teams to see how far they can go. Clapham and CUSB are the ones I’m going to follow, as they were looking really strong at Windmill. Thanks Katariina, best of luck for the tournament!